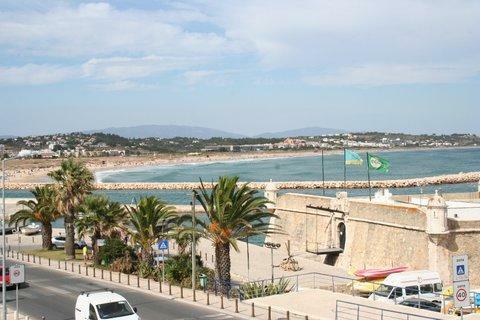 2 bed apartments 200 metres from the beach - Property for sale. Full Description: Just 200 metres from the nearest beach and with spectacular views across the harbour and bay of Lagos, close to the city walls and centre, these new apartments are attracting a very high level of interest. Lagos is one of the most important cities in Portugal?s long history and has developed into one of the most popular destinations in the Algarve. Each apartment is finished to a very high standard with top quality fixtures and fittings including extensive use of Portuguese stone and marble. The 2 bedroom apartments have 1 or 2 bathrooms, some with Jacuzzi baths, lounge/dining room and fully fitted and equipped kitchen with high specification appliances. All apartments benefit from shutters on doors and windows, pre-installation for air conditioning, security video entry system, private balconies or terraces and private underground parking spaces and storage. Apart from the fabulous location what really sets these properties apart is the spacious roof terrace with extensive views across the bay of Lagos...quite breathtaking! So all in all, if you are looking for a new apartment 2 minutes walk to the nearest beach, with some of the best views in the Algarve and close to the best that Lagos has to offer then this could be the place for you.